Many visitors and supporters know Chenoa Manor as a sanctuary for domesticated livestock to live out their lives in tranquility and peace. While these farm animals (over 200 residents that include cows, horses, donkeys, llamas, goats and sheep, to name only a handful) are indeed our focus, Chenoa is also home to a thriving population of birds and reptiles. 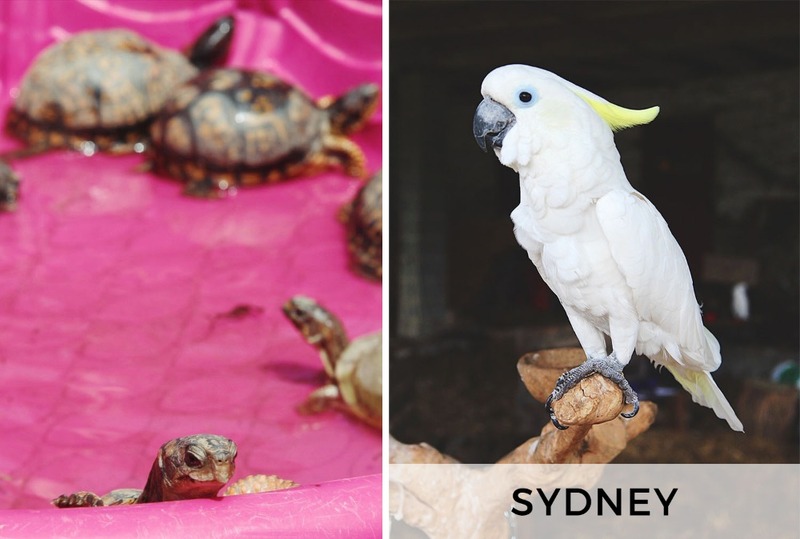 Parrots and tortoises come with their own special needs, and we are so excited to finally expand our facilities to include year-round housing for these exotic residents. Our Tortorium and Parrot house will be a temperature and humidity -controlled space that offers cage-free environments tailored to each species. Nestled between pasture and barn, this space will also offer easily accessible interaction for our visitors and community. We're so proud to have successfully completed Phase 1 of this project, enclosing the building and adding new windows and a new roof. Now we're ready to move onto Phase 2, and we have lots of important interior projects left, including HVAC, plumbing, and furnishings. It would mean so much to be able to give these animals the home they deserve. Our parrots and tortoises need your help! Our current residents include nearly 30 turtles/tortoises and 12 parrots. 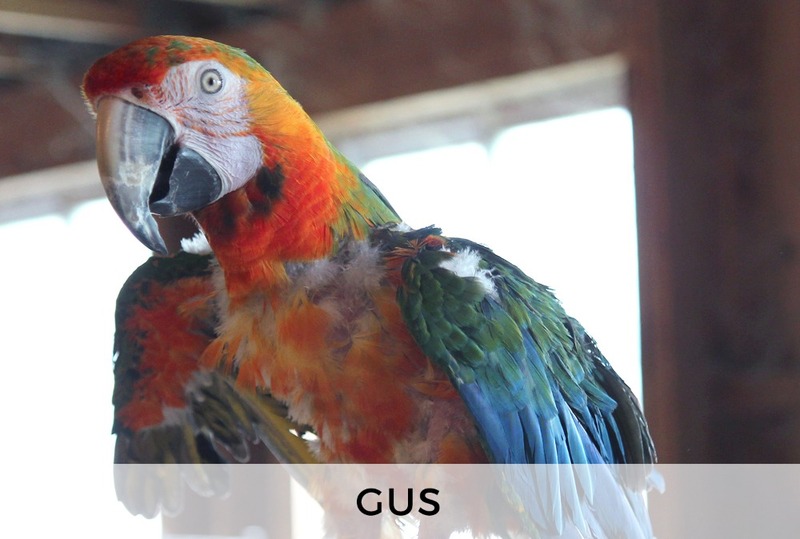 Having a dedicated Tortorium + Parrot House for these animals will not only ensure their comfort and happiness, but will also allow us to offer sanctuary to future animals in need. Chenoa is home to a variety of large parrots, including Amazons, Cockatoos, and Macaws. People often underestimate the committment it takes to properly care for these birds - highly intelligent and social, parrots require an extensive amount of attention and interaction. And with life spans similar to those of humans, these animals can thrive for 80+ years. 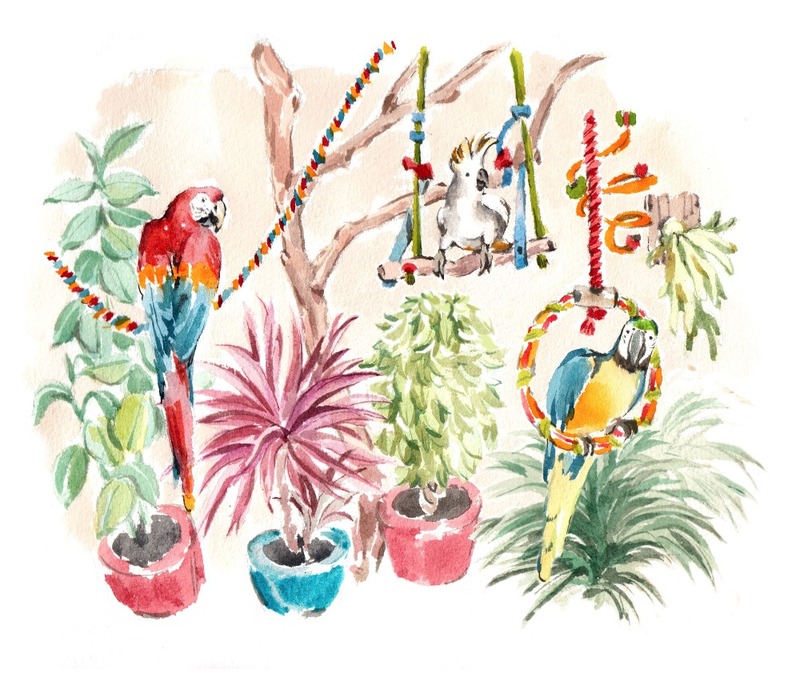 Our parrot residents hail from a variety of trying circumstances, including owner surrenders, drug busts, and cruelty cases. Many came to us with medical or emotional issues that made home placement impossible. 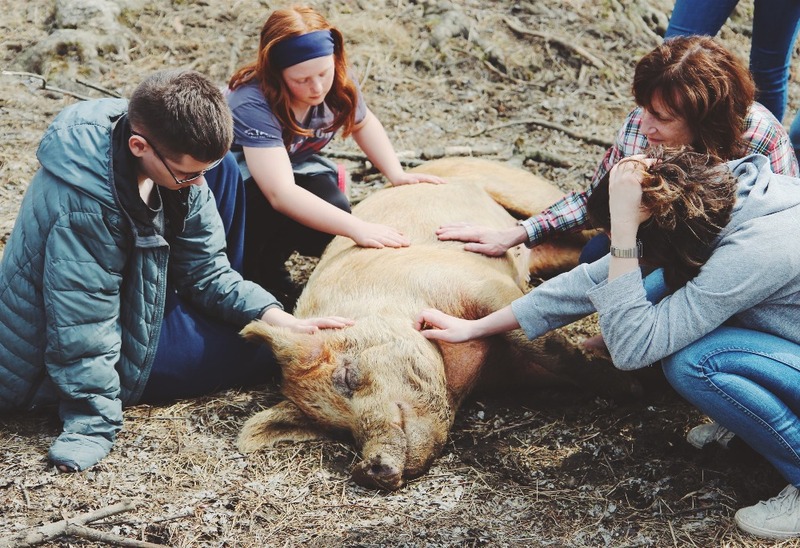 At Chenoa, these animals are given the time and space to find themselves and truly heal. 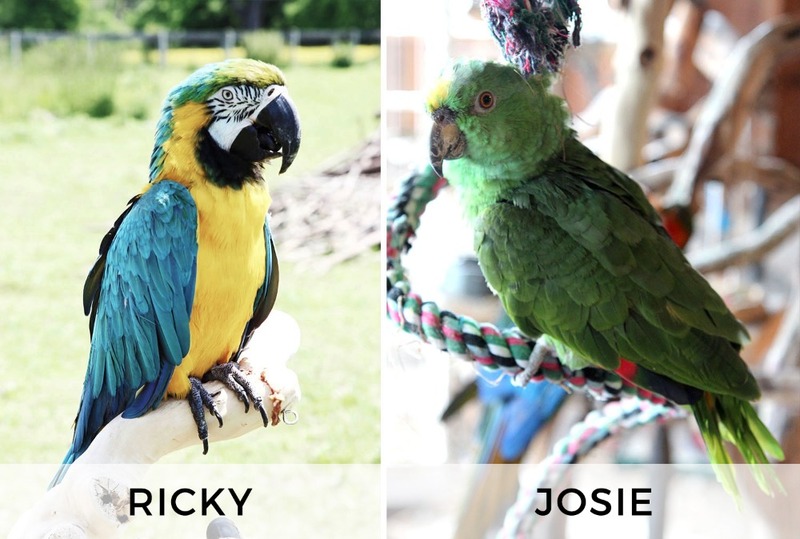 Josie, Syndey, Ricky and Gus, along with their other parrot companions, truly need your donation. Help give them a cage-free environment, filled with engaging activities, comfortable perches and lush vegitation reminiscent of their natural habitat. Chenoa's reptilian residents are comprised of a few different species of turtles and tortoises, each unique in habitat, behavior and circumstance. The largest are our Sulcata Tortoises, who can live 50 - 150 years and grow to be more than 200lbs. 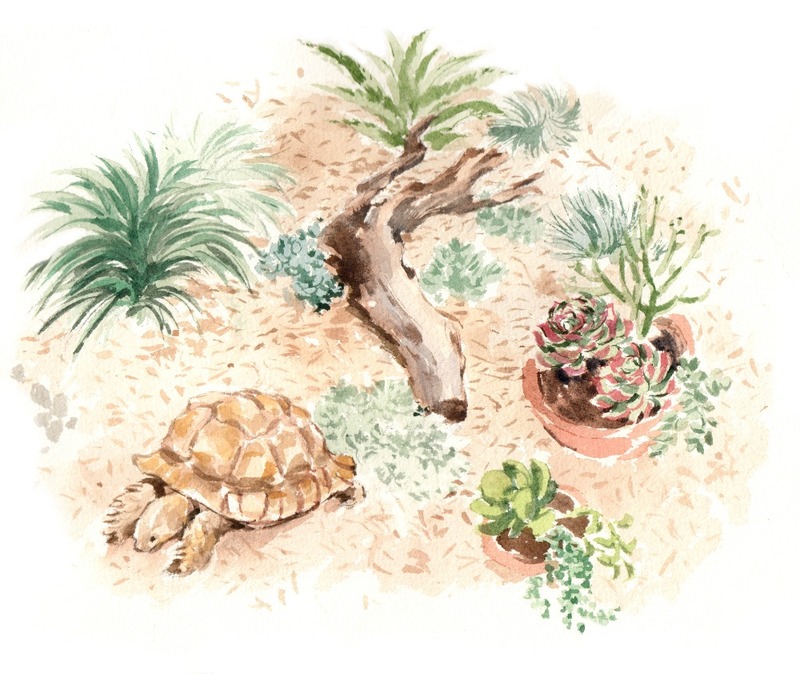 Smaller residents include Leopard Tortoises, Red Foot Tortoises, and Box Turtles. 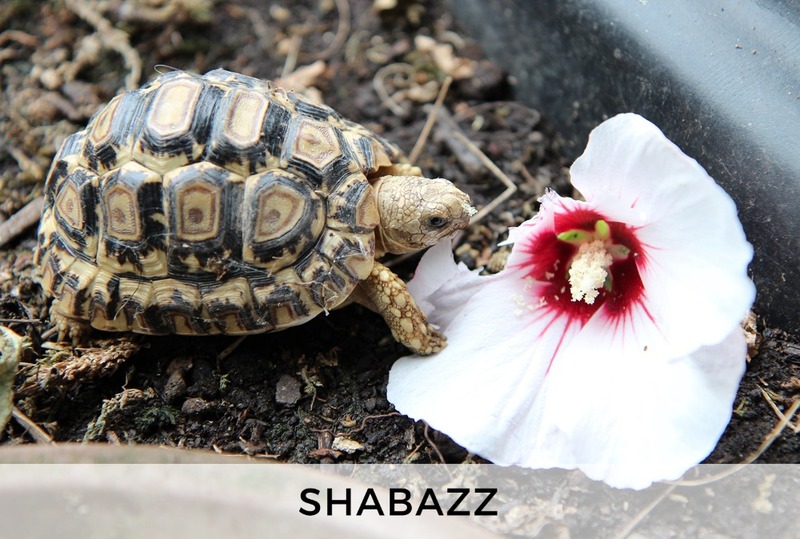 Shabazz, a Leopard Tortoise, was left beind at college, found during a year-end dorm cleanout. 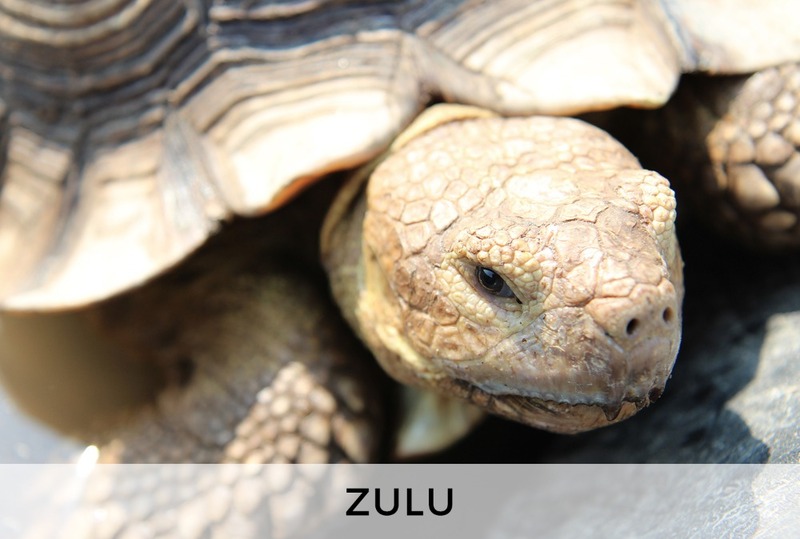 Zulu, a Sulcata belonged to a military family who had to give him up when they were stationed overseas. Sufi, a Red Foot, was surrendered to the SPCA when his previous owner became too ill to keep him. Your donation will allow these beautiful creatures to spend their winters as they currently spend their summers - free to roam, nibbling at everything in sight. Chenoa Manor is an accredited member of the American Sanctuary Association, and is an all-volunteer, non-profit organization that serves as a safe home for animals with nowhere left to turn. Our sanctuary is home to over 200 animals, including those freed from factory farms, animals used in lab experiments, and various exotic species. Most of Chenoa Manor’s residents were neglected, abused, or en route to slaughter prior to being given a second chance at the sanctuary. All the animals accepted at Chenoa Manor become permanent residents of the sanctuary and are not adopted by individuals. They are provided a lifetime of care, safety, and compassion on Chenoa Manor’s twenty-five acre farm. Chenoa Manor’s primary mission is two-fold, to serve our animal residents as well as the youth who seek to be here. That mission embodies a sense of unity and respect among the youth, the animals, and the surrounding environment, including the trees, plants, bodies of water and the land itself. Please consider donating to this campaign. Even if you can't contribute financially, please help by sharing the link with your friends and family on Facebook, email, or word of mouth. Every share makes a difference! We'd also love to host you for a visit - please see our website for more opportunities to join our community. Note, all donations are tax deductible.